When shopping for a wig or hairpiece you have a lot of options, such as what style, what colour, what design and so on. However, the biggest decision you will need to make is whether to purchase a human hair wig or one made with synthetic hair. In order to decide, you need to really understand the difference between human hair wigs and those made with synthetic hair. As the names point out, a human hair wig is made with actual hair from other people. Synthetic hair wigs are crafted from man-made fibres. However, the differences go farther than just the materials used to make the Wigs. These hairpieces are crafted from real human hair that individuals sell to wig manufacturers. Once the hair is sold the wig maker cleans, chemically treats, colours, cuts, and crafts the hair into a wig. Human hair wigs can be coloured to better match your natural hair colour and skin tone, and can be permed, cut, styled, and blow-dried. Human hair wigs are usually softer than synthetic hair wigs and offer a more natural, real hair look to the wearer. Best of all, human hair wigs are usually more durable than synthetic wigs since human hair is stronger. The downsides to owning a real human hair wig are the price and the extent of care. Most human hair wigs are very expensive. 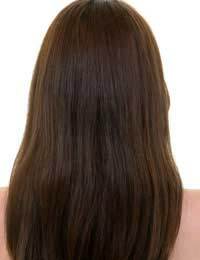 The hair that is bought must start out as all one length and must be at least 10 inches long. This makes human hair more difficult to come by and more expensive to purchase. Plus, the real hair cuticle must be kept in the same direction when weaving a wig in order to reduce tangling and ensure that the hair falls naturally and smoothly. Human hair wigs also require more upkeep. Just like real hair, human hair wigs do not hold their shape after washing. Each time you wash a human hair wig you must restyle it or take it back to the stylist for setting. Because these wigs don't hold their style permanently you must use more products on them to keep them looking good. Synthetic hair wigs are crafted from man-made fibres. While most synthetic hair wigs are less expensive than human hair wigs, you do need to choose a higher priced wig if you want a more natural look. The higher the quality of the wig, the more it will resemble human hair. The advantages to purchasing a synthetic hair wig are price and ease of wear. The wigs are less expensive than the human hair varieties and they hold their shape much better. Since these wigs are crafted of man-made materials the strands have "style memory" and are designed to snap back into shape after washing. Thus, synthetic hair wigs are truly wash and wear. There are drawbacks to owning a synthetic hair wig. Depending on the style and quality, these wigs cannot be restyled at home so a change in hairstyle is usually more expensive. Plus, you cannot change the colour of synthetic wigs once it is set at the factory. Before deciding between a human hair or synthetic hair wig it is best to speak with a wig specialist. They can help you determine which type of wig would be best suited to your individual needs and preferences. For more information on styling, maintaining and wearing wigs and hairpieces, go to our Wigs Help And Advice section of this site. @Miss Red. If it was a European company and it was not as described, then you could demand a replacement/refund, but if you have no contact address it's going to be difficult to claim it back, plus if they are in China they will not come under European legislation. Try emailing them for a refund, or raise a Paypal dispute. I purchased a wig online!I think the UK co. is 'suspect' and Citizens Advice/Consumer Direct have said to me the address to write to - should always be displayed on the website.I paid for what should be a real human hair wig, ended up paying via Paypal to a co. in China!!! ('their factory' they told me! ).1) the wig is not as long as advertised.2)This does not feel like real human hair!!! If I need to return it, I can't really 'cut pieces off' to test it with a lighter or match!!! !